Did you know chickens make great pets? Yeah, right. Where would we keep them? In the backyard? Actually, yes. 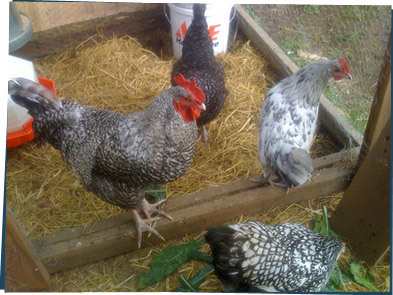 Depending on where you live, some neighborhoods allow people to keep chickens in their backyard. You just have to have a coop, which is not too hard to build. They're cute and feathery, and they even lay eggs — fresher than you can get in the store and free! Can't beat that.